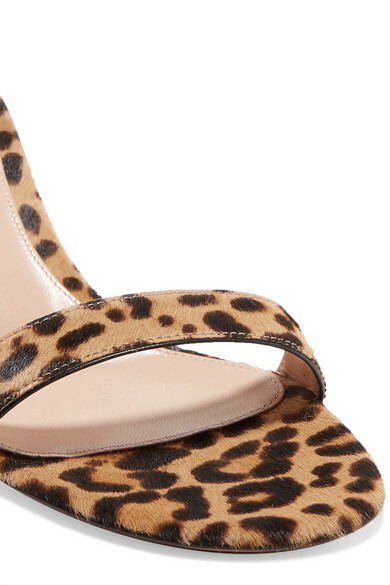 Much like a pair of classic black pumps, leopard-print heels are a staple you'll turn to time and again. Hand-finished in Italy, Gianvito Rossi's calf-hair 'Portofino' sandals are designed with two slim straps and have a 70mm stiletto that makes them perfect for long events. Wear them with monochrome outfits. Shown here with: Orseund Iris Shirt, Peter Do Skirt, Loewe Shoulder bag, Leigh Miller Earrings, Sophie Buhai Ring.